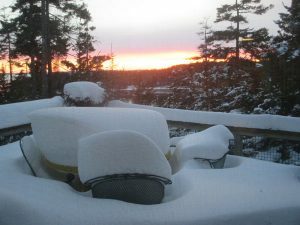 In less than one week, we received over 4 feet of snow! We are unable to drive out of the woods, so we walk. My car is on the outside and we pull a sled over the trail to get out. 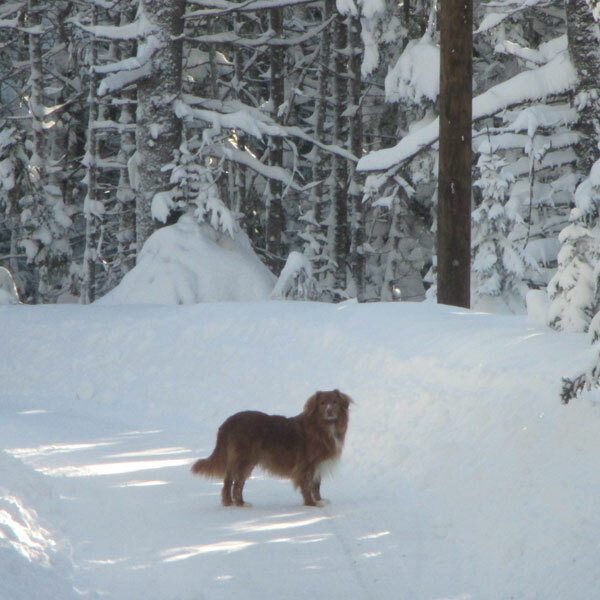 Here are a couple of shots, sunset off the deck and Tait, our Nova Scotia Duck tolling retriever, who likes to stick to the trail because he is too short to wade in the snow!